Side tray for bait, baiting needle, etc. 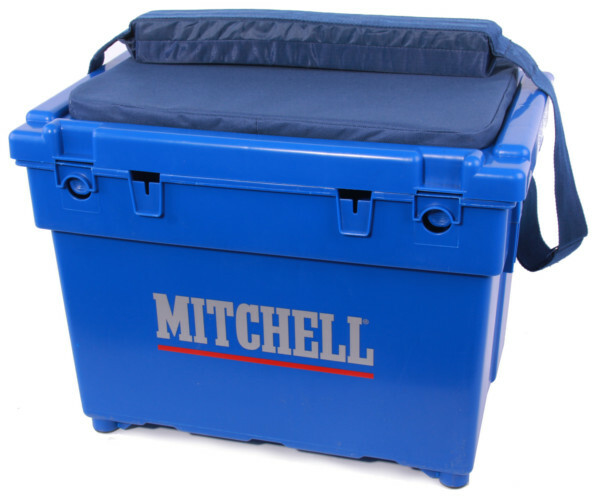 A classic for sea fishing, a must-have for the serious and recreational beach angler! 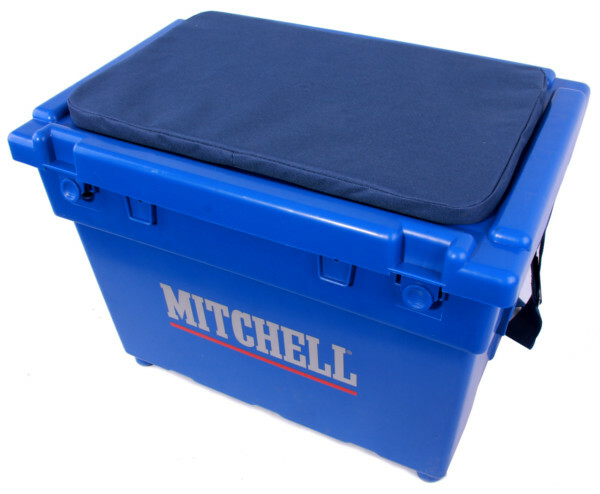 The Mitchell Saltwater Seat Box is perfect for comfortably transporting you reels, spare spools, rigs, small tackle items and bait. And of course, it offers a great place to sit when fishing! 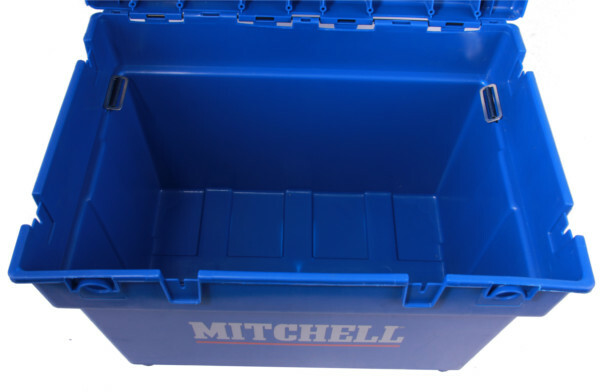 The spacious main compartment has plenty of room for all of your gear and spare items. 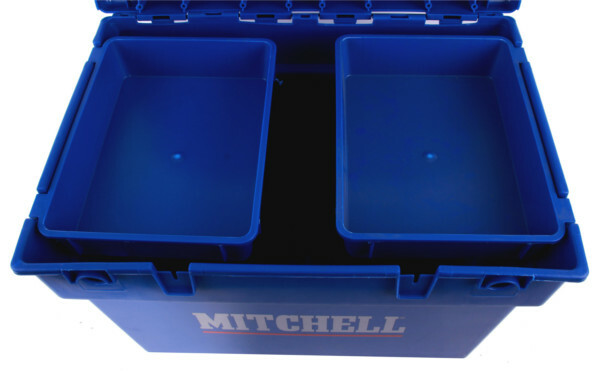 The removable side tray is perfect for keeping your bait, baiting needle, etc. Ready for use! 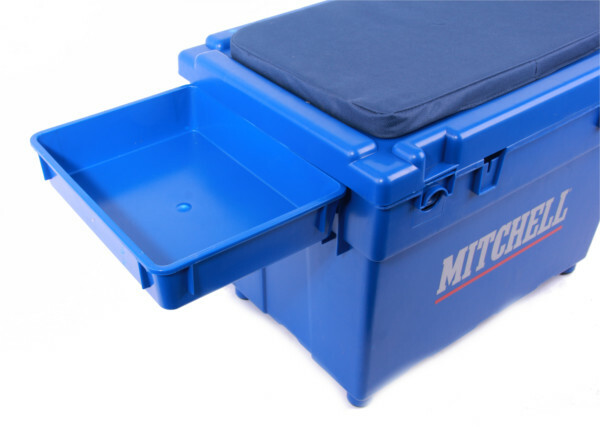 The seat cushion is weather resistant and can easily be cleaned with a damp cloth. A real classic for sea fishing and a must-have for both the recreational and serious beach angler!